Students are excited to buy a cup of lemonade. They know the sweet treat will not only quench their thirst but help a charity too. 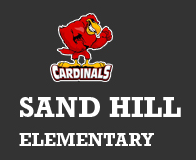 Sand Hill Elementary students are making a difference, one cup of lemonade at a time. 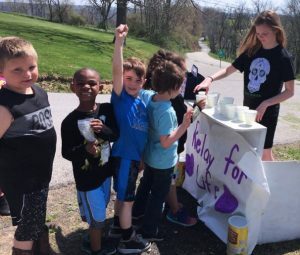 The school’s 4th and 5th grade Leadership Clubs sold lemonade during recess on Thursday, April 26 and Wednesday, May 2, 2018 to raise money for the American Cancer Society. Students, teachers, county administrators and community members lined up for a refreshing, cool glass of lemonade. More than $250 was collected and will be donated to the annual Relay for Life fundraiser in honor of Jesse Enzminger and in memory of Gail Drane. The project taught students an important lesson about helping others.